(1) Garden/Market Manager -- work with agricultural director to manage 2+ acre vegetable garden, greenhouses, and cold frames in four-season growing program; work with apprentices and youth programs; assist in developing livestock program; manage farmers markets in NYC (up to 2 markets/week); contribute to value-added product line. Required: 3 years organic farming experience. Livestock experience a plus (chickens, turkeys, ducks, goats, sheep, cows); experience in diverse, urban setting; must be able to work with the public (farm receives over 300,000 visitors yearly). ~60 hours/week plus during high season. Year-round salaried position plus benefits. Early 2009, start date flexible. (2) Garden Apprenticeship -- March-November apprenticeship working on two acre vegetable garden; work with livestock; must be able to work one weekend/month, attend farmer's markets as necessary. Seeking apprentice with one year experience in vegetable farming, an interest in adding livestock experience. Willing to train inexperienced but hard-working and determined person. A plus if interested in developing value-adds to our farm goods in commercial kitchen. ~50 hours/week. Educational opportunities + $1500/month stipend. (3) Vineyard Apprenticeship -- March--November apprenticeship working on 1.5 acre vineyard. Vineyard is in its 5th year; apprentice works with vineyard manager and agricultural director. Will be primary vineyard worker; hard-working, attentive, independent worker a must. Work with livestock and in vegetable garden as needed. Must be flexible in hours, work weekends once each month, attend farmer's markets. ~50 hours/week. Educational opportunities, Long Island vineyard visits, $1500/month stipend. Please no phone calls, send letters of interest and resume to Michael Grady Robertson: mgrobertson@queensfarm.org. 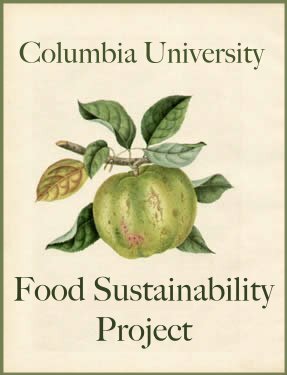 Read below if you think you might be interested in writing about food for the Columbia Spectator, which is a great opportunity for the experienced and novice sustainable food advocate alike. Also, check out a recent op-ed from Wes Jackson and Wendell Berry, powerful voices for the sustainable food movement: http://www.nytimes.com/2009/01/05/opinion/05berry.html?_r=1&em.